… batteries which are reliable, safe, versatile and extremely powerful! Try Siemens today. 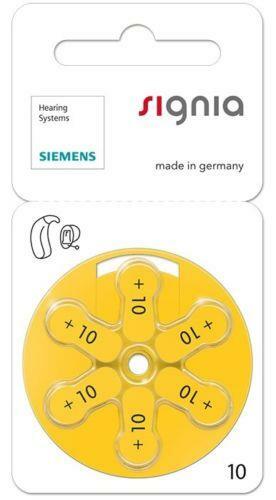 Siemens hearing aid batteries are high quality with long life, even in powerful instruments. Siemens batteries provide long running times at a constant voltage level and thus contribute to an optimum hearing aid performance. Siemens batteries are reliable and safe due to triple sealed high quality material e. g. stainless steel. Siemens batteries are environmentally friendly as they are 100% mercury free.